The upstairs is a large, single-room loft with a raised built-in platform for a queen-sized bed, a wood-framed bed nook for a full mattress, a walk-in closet, and 8’x 25’ back and front covered balconies. 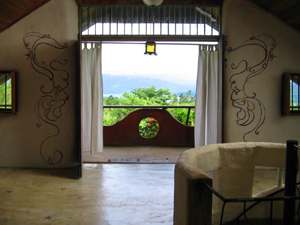 Opening onto the front of the house upstairs and downstairs are broad, hand-made wooden double doors that open onto views of the front yard, lake, and mountains beyond. 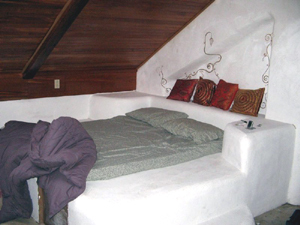 The master bed platform and the bed nook are across from each other. Between them is the wall that opens to the second floor's eastern deck. 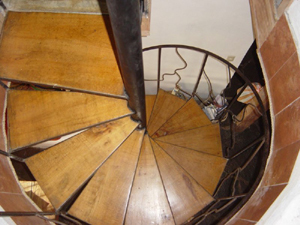 The spiral staircase from above. 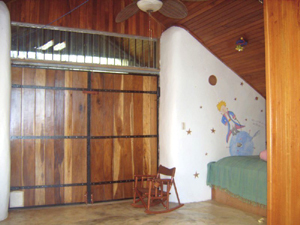 A low wall around it on the second floor is a safety feature. The west balcony has lake views far to the north and south and to the villages across the lake. 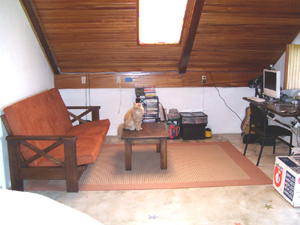 The office area with high-speed Internet. 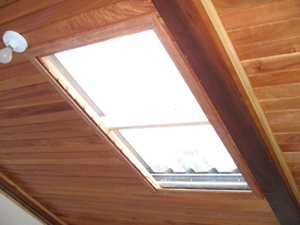 Several skylights brighten the loft. 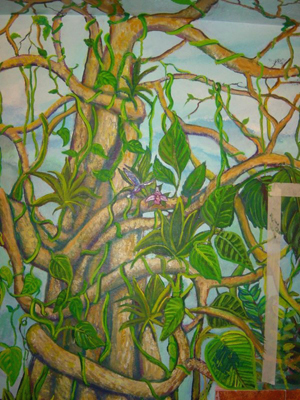 This mural in the first-floor bathroom is by international artist Sue Ryan. 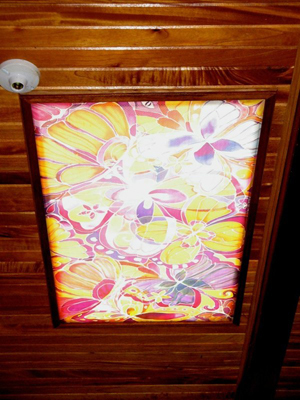 A large skylight illuminates a silk screen artwork.